There was an interview with Rob Lowe, in last Sunday's New York Times Magazine, where he answers a pointed question about being good looking. He comments upon how absurd it is -- the assumption that pretty people don't feel pain or adversity like non-pretty people do, as if they are immune to the general afflictions and profundities of living. 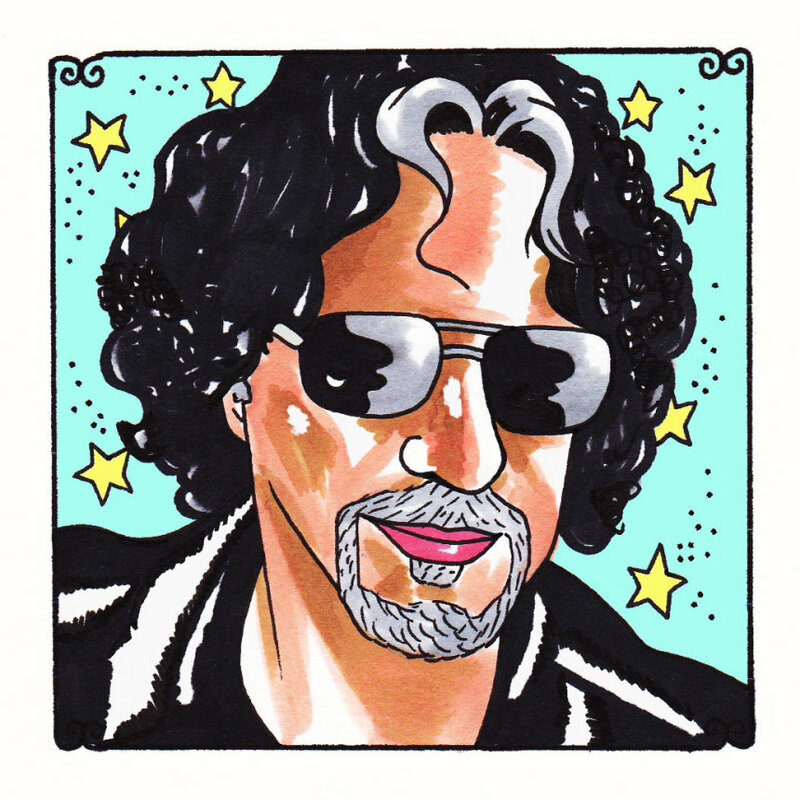 Obviously, everyone hurts and everyone gets stung by the profundities, but there's something to the thought that the toll of it all is lessened by unbelievable good looks or if you're John Oates. He falls into both slots -- especially the Oates with one of the most renowned mustaches in rock and roll history. As Hall & Oates -- or Hall of Famers Hall & Oates, as they'll be dubbed this week in Cleveland, Ohio -- he couldn't have had any more access to pies in the sky as he did during those days. Rooted in the pain and collision that comes out of all the best R&B songs, Oates has built a career on shining glittering tones on the wants and lusts that all people deal with. Here, on his version of the Mississippi John Hurt song, "Stack O' Lee," he tells of a cool, bad man. He's likely just misunderstood, like the rest of us -- like the rich girl and the tortured lover who can't give his love. Oates deals with the shortcomings that tend to fell us, the way a tiny, sharp rock in a shoe brings us down. He also -- just as often -- highlights the blessings that come unexpectedly. The circular -- so it goes, this too shall pass -- nature of luck and fate are the crux of his work, finding a way to get us to an appreciation that we might all be lucky, that mustache or not.